Kalimbas at Work embrace audiences with magical interlocking melodies, lively African rhythms, and heartfelt lyrics. Deeply rooted in the traditions of Cameroon, the quartet features the kalimba (African thumb piano) in unique configurations you won’t find anywhere else. 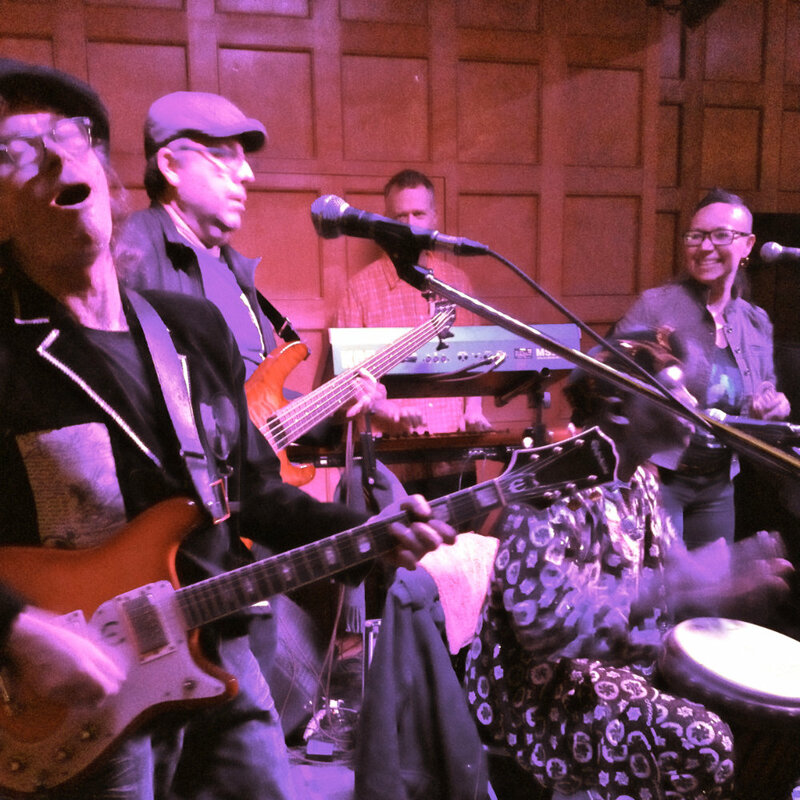 Kalimbas At Work includes Njacko Backo and Anne Lederman – two of Canada’s most well-known world music ambassadors who have collaborated with one another for more than 20 years. The ensemble also features Valery Woloshyn (kalimba) and Joaquin Nunez Hidalgo (percussion). Original compositions feature up to three kalimbas and blend in ngoni (African harp), fiddle, accordion, and a variety of African and other world music percussion instruments. This dynamic group is ready to animate your festival, function or party.